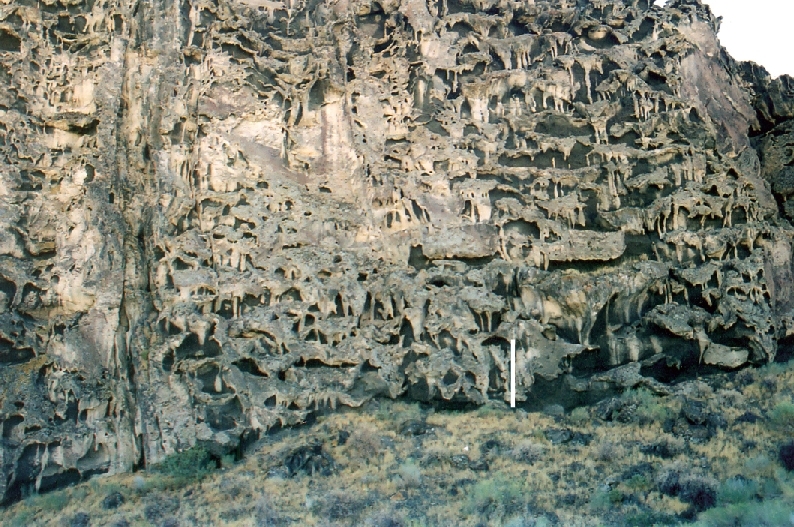 Clusters of young volcanic rocks (generally less than 2 Ma) extend from northwestern Arizona through southwestern and west-central Utah. These units consist of a bimodal assemblage of mainly basaltic rocks and less voluminous rhyolitic rocks. In southwestern Utah, several clusters of mostly basaltic rocks are oriented northeast-southwest, subparallel to the Basin and Range Province and Basin and Range-Colorado Plateau transition zone margin. This package of volcanic rocks consists of series of basaltic flows and vents that do not seem to coincide with mapped faults. Rather, some vents lie adjacent to major faults, such as the Hurricane and Sevier faults, localized on the footwall or hanging-wall block, but not appearing to have used the fault as a conduit for magma. 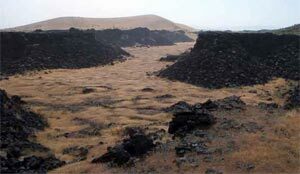 Cinder cones and mounds, which generally form alignments parallel to the faults, appear to have formed along steep joints. In west-central Utah, another cluster of young basaltic rocks, with lesser quantities of rhyolite form a narrow belt generally aligned with the eastern margin of the Basin and Range. This volcanic assemblage formed in an intra-graben area between the Pavant and Tushar Mountains on the east, and the Mineral and Cricket Mountains to the west. The region is referred to as (from south to north) the northern part of the Escalante Desert, the Black Rock Desert, and the southern part of the Sevier Desert. Volcanism here appears to have been concurrent with east-west extension across numerous, small-scale intra-basin faults. 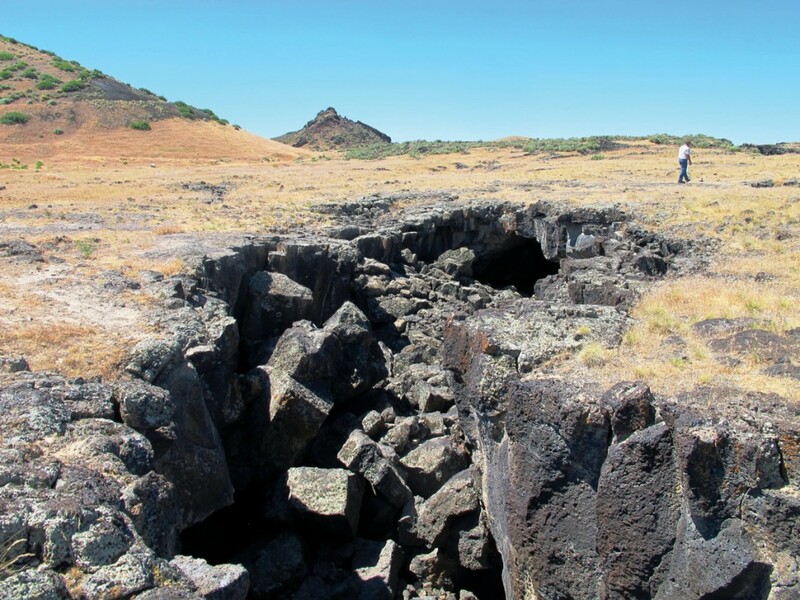 Vents and cinder cones mostly lie along high-angle normal faults, suggesting that the faults provided the conduits for movement of magma. Basaltic eruptions began in this region about 2 Ma and have continued intermittently since then. The latest eruptions in Utah include those during Lake Bonneville time at Pavant Butte (~15.3 ka) and Tabernacle Hill (~14.5 ka), and the youngest eruption at Ice Springs (~0.66 ka). 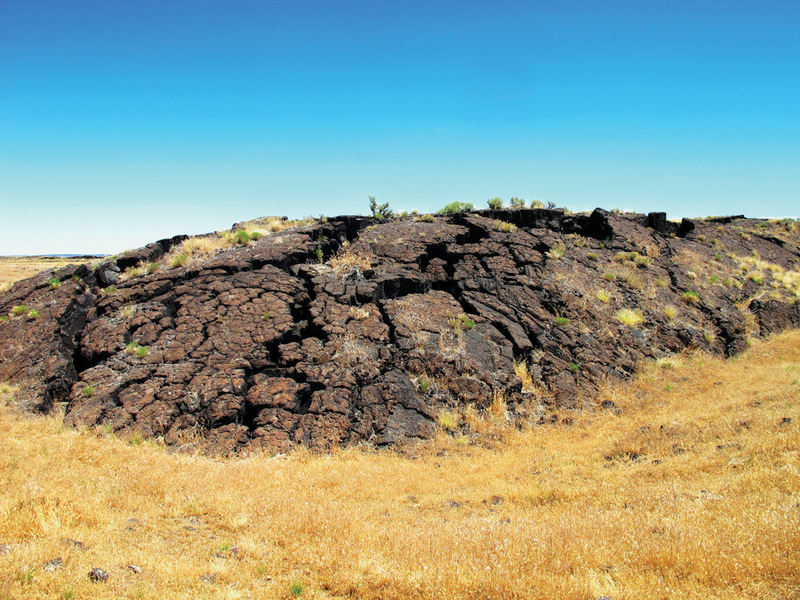 This group of volcanic rocks, located in the Black Rock Desert of Millard County, also includes White Mountain, dated at about 400 ka years ago, one of the youngest rhyolite flows in Utah. A grouping of high-silica rhyolite flows and domes situated along the crest and western flank of the Mineral Mountains in Beaver County were erupted between about 800 and 500 ka; the same time interval that included basaltic eruptions to the northeast near Cove Fort. A small volcanic field of Pleistocene age is located just north of the Great Salt Lake in the southern Curlew Valley in Box Elder County. Basaltic rocks comprise the field and have been dated between about 0.7 and 1.15 Ma. Although the field is aligned generally parallel to basin-and-range faults, it does not appear to be spatially associated with any mapped Quaternary faults.